The election is just over a week away - some of you have probably already mailed in your ballots - but I thought I'd share my views on Measure EE. What is Measure EE? It's the item placed on the ballot by the Costa Mesa City Council that's supposed to meet the requirements of a settlement agreement agreed upon earlier this year... it doesn't. I wrote about this issue in the Daily Pilot earlier this month, HERE. You can read that long explanation if you wish, but let me give you the thumbnail version of why I won't be voting for this plan. 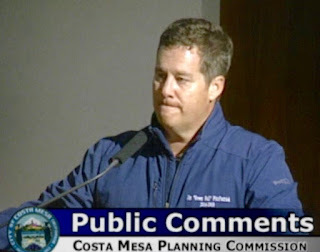 We are required by a settlement agreement to present to the voters on November 8th a plan to carve up Costa Mesa into districts from which future City Council members would be elected. No longer would council members be elected at-large - the way they have for more than 6 decades. 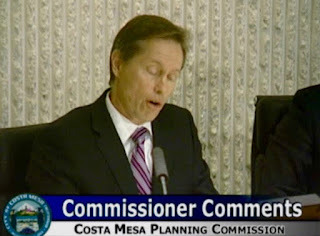 To accomplish this task a demographer/consultant, David Ely, was hired and, through a series of community meetings, developed several options which had roughly equal number of residents, each of which produced a Latino population majority district - the goal of the lawsuit so Costa Mesa would meet state and federal voting rights laws. The most favored of those choices were two 5-district maps, each slightly different than the other, but both retained basically the same Latino district. 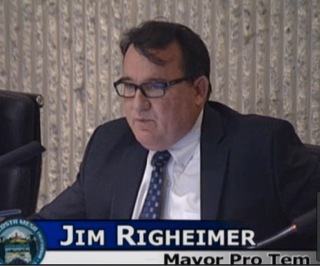 Mayor Pro Tem Jim Righeimer asked the demographer to create a 6-district map that would also require a directly-elected mayor - the council must have an uneven number of members. 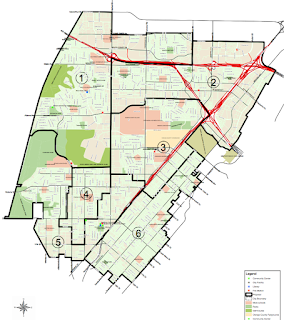 Under this plan no longer would the mayor be chosen from among the 5 council members. 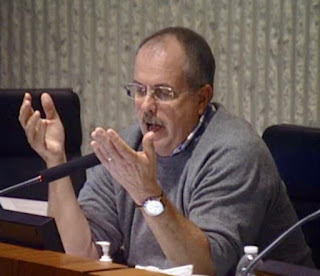 When it came time to select a plan to place before the voters Righeimer jammed his 6-district scheme down the throats of the council members and his male majority carried the day. That's what we're voting on on November 8th. In my view, this is just another scheme to solidify power in the city by Righeimer and his cronies. Whatever plan is chosen, it will begin to be implemented at the elections of 2018, at the time Righeimer is termed out of a council seat, but could be eligible for the directly-elected mayor seat. 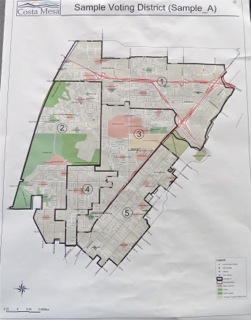 If Measure EE fails in the election the issue will likely be placed before a judge, who could select a map for us to implement, and it's unlikely that judge would choose a map already rejected by the voters of this city. It's likely that a 5-district choice - one of those preferred by the voters - would be selected. 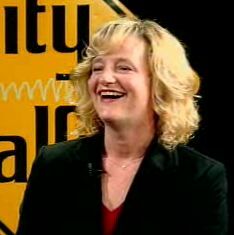 The mayor would continue to be chosen by his peers. 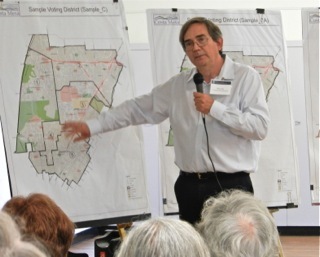 In my view, Measure EE should be voted down and let the judge choose a map - and abandon Righeimer's latest power grab. Don't forget his TWO failed Charter schemes! BLOCK RIGHEIMER'S LATEST POWER GRAB! 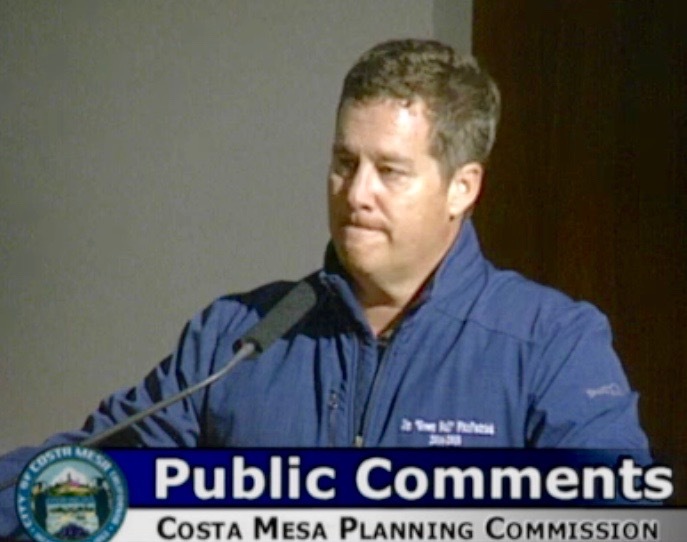 The Costa Mesa Parks and Recreation Commission met again on Thursday, October 27, 2016 for what we expected to be a very short meeting because of the nature of the agenda. 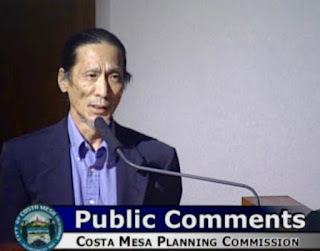 There were NO public comments and most of the commissioners either had no comments or reserved their comments until their Park Report later in the meeting. They made quick work of the Consent Calendar - a request for two plaques and trees honoring two women who served the community as members of the Historical Society. The vote was 5-0. TREE REMOVAL REQUEST - WHY? 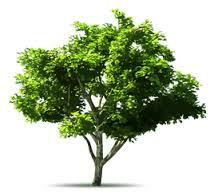 The tree request on the agenda was a very strange situation. Apparently nobody is sure whether the tree in question is a city tree or if it belongs to the homeowner, Ms. Humphries. After a short discussion the commission decided to direct staff to determine who owns the tree and, if the city owns is, the applicant can return at the November meeting to plead her case. If it is determined that she actually owns the tree she can remove it any time she wishes. Next came the Park Tour Reports - information from each commissioner on each of the parks in their own individual districts. Mercurio disappeared at this time and never returned. I guess an hour was all she had in her tank last night. First up was Commissioner de Arakal, for Parks District #1. There are 7 parks in this district. Raleigh Park is a small park in good shape. Tanager Park has some issues that de Arakal wants to discuss with members of the community early next year. Civic Center Park is in good shape. de Arakal wants to propose meandering trails and benches through the park if their is community support. Jack Hammett Sports Complex were described as being in phenomenal shape. He mentioned the planned replacement of two of the fields with artificial turf and also addressed the need maintenance for drainage and rain gutters on the bathrooms. Ketchum-Libolt Park is a pocket park that needs maintenance - paint and rust. He would like to see some lighting from a security standpoint. He was concerned that the memorial plaque has been defaced. Wilson Park was described as "fair". Equipment is good. Playground is in good shape. Some trees are dead. Ongoing issue is transients and homeless folks in the park. de Arakal complained about the circumstances that have caused the transients to exist on our streets. He mentioned AB 109, Prop. 47 and Prop 57 on this current ballot. He said Governor Brown and the folks in Sacramento have no moral compass. The folks around Wilson Park simply cannot use their park because of the homeless and other transients. He wants Assistant CEO Rick Francis and his team to come before the commission to describe what is being done. He specifically stated, "We need to take our parks back." TeWinkle Park is overall in excellent condition. He was particularly effusive about the condition of the lakes and fountains. He was concerned about the pumps not working in the upper pond and there was leakage in another pond. He mentioned the need for maintenance of bridges. 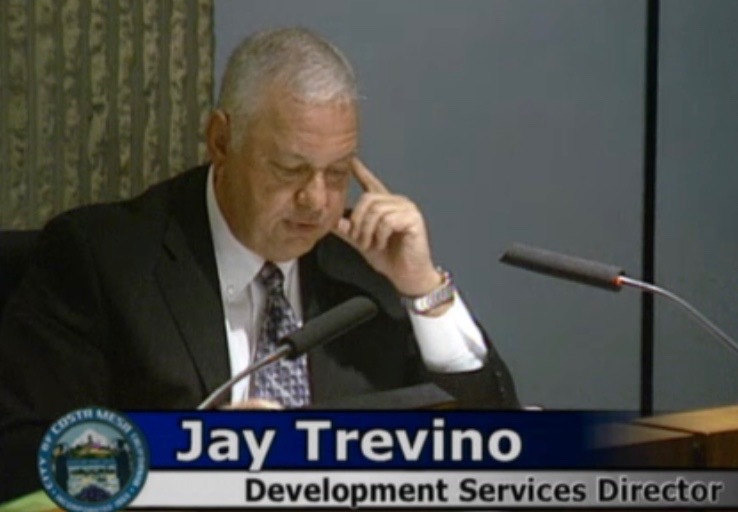 He said there was money in the capital improvement budget to replace them this year. TeWinkle Athletic Complex was in good shape with some minor maintenance issues - light fixtures in the bathrooms and an exposed electrical outlet. The Skate Park was in excellent condition, but he was very concerned about the violation of the rules of the park. He specifically cited folks on bikes in the bowls, which are forbidden. When he broached the fact to the riders he was told, "To go have sexual relations with myself." - his words. He is very concerned about limited enforcement at the park. He said it's out of control. He expressed the view that we didn't need mirrors in the bathrooms because they have become graffiti canvas. The Bark Park is in good shape. He specifically praised the improvements made recently to the Small Dog Park. Vice Chair Bob Graham reported on District 3 which consists of 6 parks on the Eastside of town. 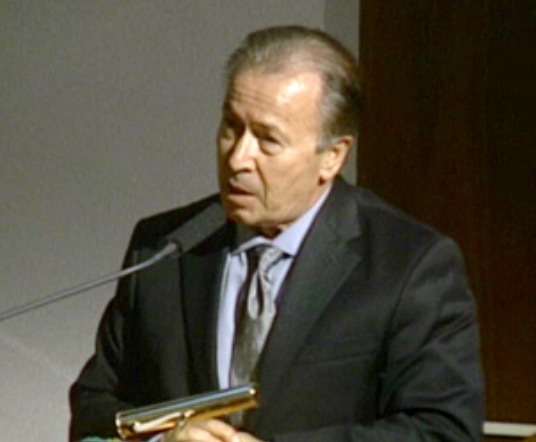 He first spoke about Heller Park in glowing terms. He gave it an "A" rating. Pinkley Park is a larger park which he gave a "C" rating. He suggested creating some kind of a "recognition wall" in this park. He is concerned that there are no restrooms in this park. Harper Park is carved out of school property on Tustin Avenue. This also has no restrooms. Jordan Park, which includes the Boys and Girls Club. He expressed concerns about the actual ownership of the park - the City or the club? He felt parking was a problem. He gave it a "B" rating. Lindbergh Park is part of a school complex. Restrooms are available at the school. He gave it a "B" rating. Brentwood Park has no restrooms nor swings but he described it as a great park. He mentioned a Master Plan for the park. He gave it a "C" rating. 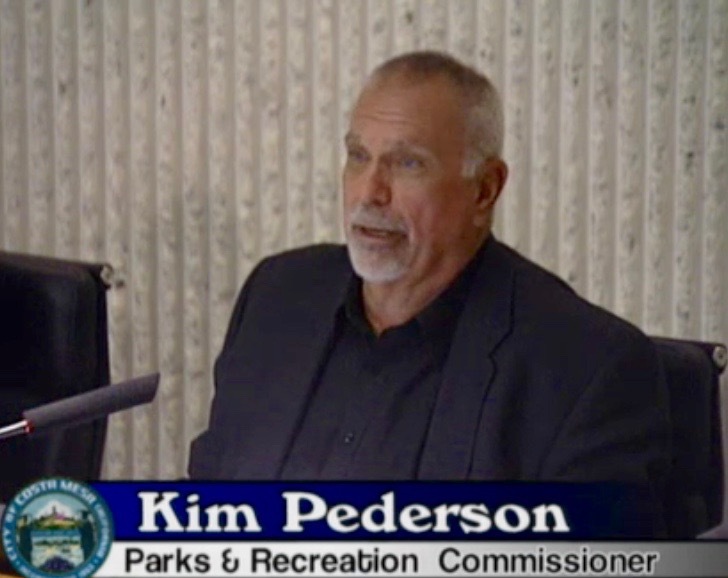 Commissioner Kim Pederson reported on District 4 parks - also 6 parks in the north part of the city. 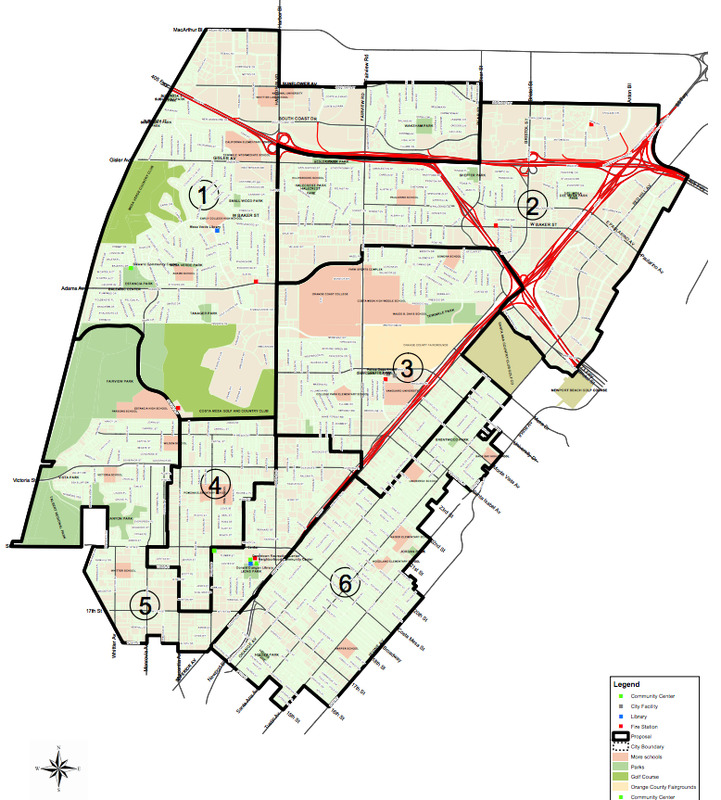 Del Mesa Park, Gisler Park, Paularino Park, Shiffer Park, Wakeham Park and Wimbledon Park. He cited a need for bike racks. He opined that there should be a clean-up fee for rentals to be sure the residue from the rental activity is properly cleaned-up. Del Mesa Park seemed well-used with a lot of areas for picnicing. He was concerned about wood rotting. Gisler Park needs a gate to curtail speeders at night. He also cited the need for drinking fountains and a shade structure for the play area. He cited a need for workout equipment. Paularino Park needs the replacement of the shade structure, which is termite-eaten. 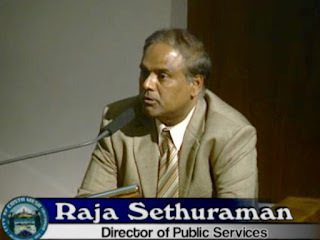 He expressed a preference for BBQs and the need to improve signage and add drinking fountains. Schiffer Park needs upgrades in the restrooms and play areas. Wakeham Park could use some split rail fencing in the park to enhance the appeal. He said we need some boulders - kids love big rocks to climb on and no maintenance. Also needs shade structure. Wimbledon Park needs new playground equipment, drinking fountains and benches. Chair Brett Eckles discussed District 5. Shalimar Park is the smallest park in this district and is very heavily used. Unfortunately, the picnic table was removed due to damage caused by vandals. Fairview Park is our biggest park and has had a lot of attention paid to it. He cited recent CIP budgeted amounts, including storm drains, on-call environmental services, plant establishment and pond maintenance, west bluff repair and more. Canyon Park opens up into Talbert Nature Reserve and you can walk for hours. It's a well-used park with plenty of amenities but no restrooms nor shade structures. Marina View Park was being well-used at the end of 19th Street with many amenities including a large grass play area. Vista Park is his personal favorite, which provides an outstanding view of the ocean and Huntington Beach. This 7 acre park has a restroom and many other amenities. It does have "homelessness" challenges caused by low visibility and proximity to homeless encampments at Talbert Park. Restroom needs paint and he suggests adding a Veterans Memorial. Lions Park is an incredible site with the new community center/library complex underway, plus Davis Field. It has a restroom and picnic tables. 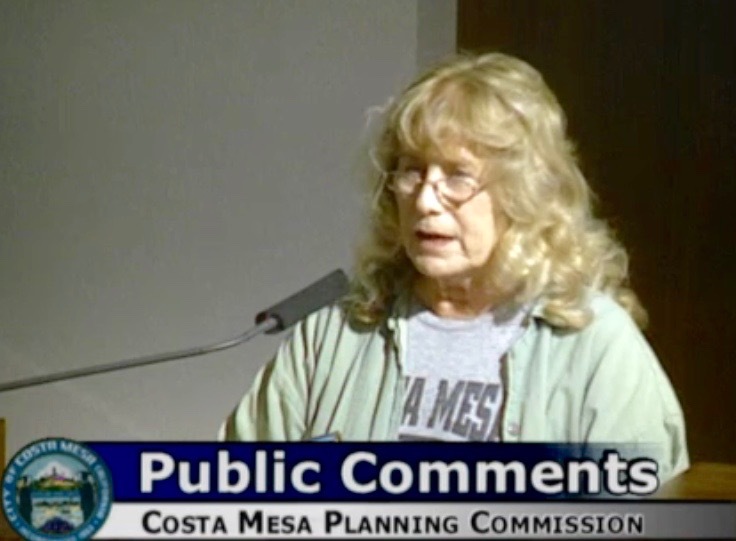 He cited the ongoing homelessness issues that plague the park and maintenance issues. 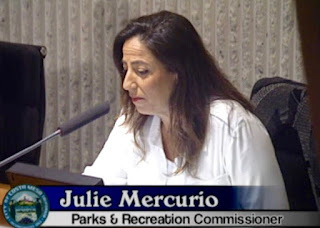 As mentioned above, Commissioner Julie Mercurio disppeared as de Arakal began his report and never returned so Eckles gave an abbreviated report on her parks in District 2. Estancia Park has had several projects completed, including bike racks installed near the restrooms. Plans also exist to install electric hand dryers in the restrooms. Mesa Verde Park have plans to improve the shade shelter. Smallwood Park have funding to resurface the basketball ares and areas around the playground. Suburbia Park had only a report on the maintenance of the park. 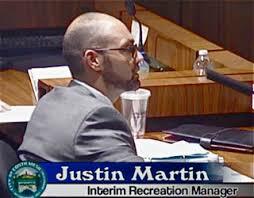 Justin Martin provided his Recreation Managers Report for which there was no online staff report available. Generally, participation is increasing in all athletic activities. The commission meeting was adjourned to November 17, 2016, a week earlier than usual due to the Thanksgiving Day holiday. COMPLICATIONS IN THE STAFF WORK? Just a short observation. There were two items on the agenda tonight that probably should not have been there. The tree removal request certainly had enough questions - like who the heck actually owns the tree - to delay it until that question was answered. And the staff report for the cell facility expansion at Shiffer Park certainly didn't provide enough information to the commissioners and the applicant wasn't available to answer questions. In both cases it appeared that the staff had been strained to try to get them handled. I'm not sure what the reason is, but for the past few months it appears that some of the staff work has dropped off. Personally, I suspect it's because we have lost so many experienced staffers and the new folks are paddling hard to get up to speed. The Costa Mesa Parks and Recreation Commission meets Thursday, October 27, 2016 beginning at 6:00 p.m. in City Council Chambers at City Hall. Due to the brevity of the agenda, HERE, it is anticipated that this meeting may be a short one. There is one item on the Consent Calendar - items that in theory could be handled in one vote without discussion. This one, HERE, is a request for the donation of two plaques and trees in honor of two women, Beverly Barck and Katharine Bequette, who were mainstays of the Costa Mesa Historical Society for years. I see no reason for the commission to not simply approve this request without discussion. There is one tree removal request, HERE, for 360 Bucknell Road. Having read the staff report I can see why the staff recommends denial of the request. 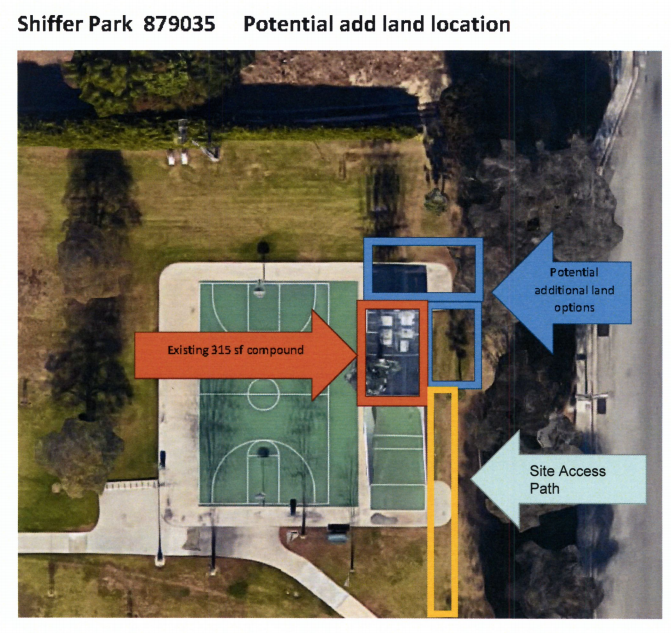 The final item on the agenda, HERE, is the request for guidance by the commission for the proposed expansion of the existing cell site at Shiffer Park. This kind of request is unusual, so the discussion might be interesting. At the end of the meeting we are scheduled to hear the Park District Commissioner Reports - when each commissioner provides us with a kind of "state of their parks" for each of their assigned areas. This will be the first such report for Julie Mercurio, so it will be interesting to hear her put more than two words together for a change. The meeting will be adjourned to Thursday, November 17, 2016. I know many of you have already been hovering over your sample ballot and voter pamphlets, contemplating how you will vote on the many critical issues facing Costa Mesa voters this year. Well, let me help you with one that's particularly onerous - MEASURE TT. 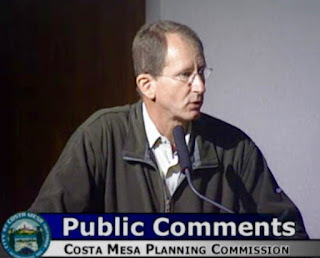 This issue was placed on the ballot as an advisory measure by the Board of Directors of the Mesa Water District... in theory no biggie... just taking the pulse of the community on the issue of possible consolidation of Mesa Water and the Costa Mesa Sanitary District (CMSD). Well, apparently Mesa Water thinks it IS a biggie because, according to reports, they've spent over $300,000 on this issue! They've plastered our local newspapers and mailboxes with ads for this measure, all of which are VERY misleading - the kindest way I can put it. 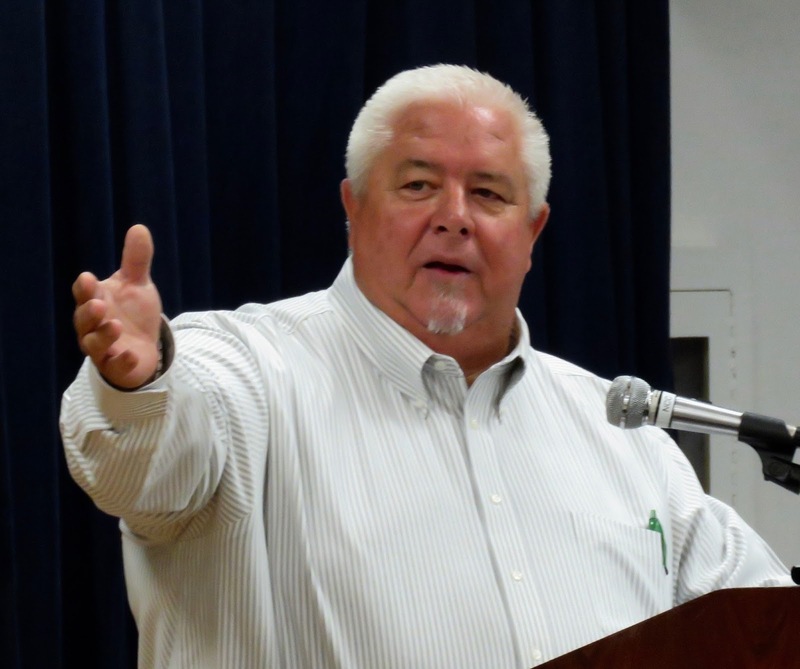 I attended the Town Hall CMSD President Mike Scheafer held last week and wrote about it HERE. I provided you the link to the recording of that event HERE. Today the CMSD provided an abbreviated version of that video - just over 6 minutes long - which may be very helpful to you as you consider this very important issue. You can view it HERE. In my view, Measure TT is simply a power grab by the Mesa Water District Board - a hostile takeover attempt. There is no compelling reason that these two special districts should be combined. Quite the contrary, there are many excellent reasons why they should NOT be combined. 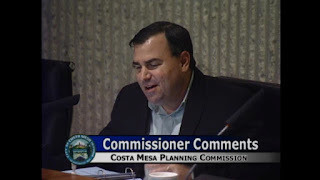 This issue is just a quick-pitch by the Mesa Water Board to stampede the voters into making a decision that will then be used to convince the Local Agency Formation Commission (LAFCO) that the community wants the combination. WATCH THE VIDEO(S) - VOTE NO! Take a few minutes and watch the short video. I think you'll then choose to watch the full version to give you more information. I know how I'm voting on this issue... a resounding NO! I suspect you may feel the same way once you familiarize yourself with the truth of the issue. When last we met I reported the plan for a Katrina Foley "Get Connected" event tonight at the Neighborhood Community Center at which things like City/School connections would be discussed. Well, the best laid plans sometimes don't come to fruition. When I arrived at the Neighborhood Community Center a couple minutes after 6:00 p.m. - darn cross-town traffic! - I found Foley and several staff members in the room... waiting. Well, they waited, and waited and waited and, just after 6:30, they cancelled the event because only four of us showed up and we were outnumbered by staff and representatives of other organizations, 2 to 1. Nobody was sure what happened - some speculated that it might be the venue that intimidated some of the Latino members of the community. Others thought it might be the first World Series Game. Whatever the reason, only four of us showed up. 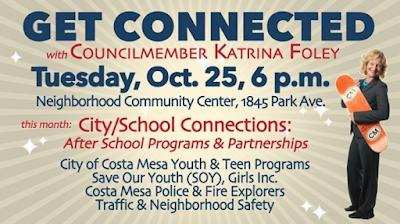 Costa Mesa Councilwoman Katrina Foley hosts another of her Get Connected events beginning at 6:00 p.m., Tuesday, October 25, 2016 at the Neighborhood Community Center, 1845 Park Avenue (Lions Park). This time around the subject will be City/School Connections. 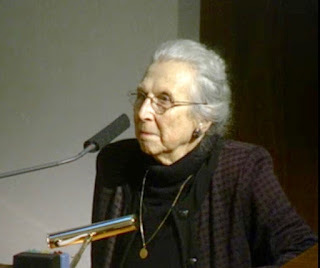 I've attended these events in the past and each one was extremely well-done and provided much excellent information. REMAINING TWO SOBER LIVING ISSUES CONTINUED! 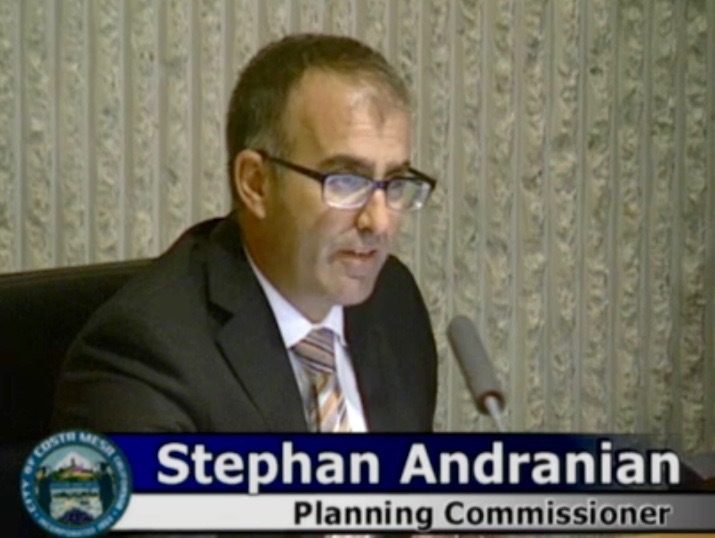 You will recall that I mentioned that the Planning Commission meeting Monday had an even smaller agenda than originally planned. Well, it got shorter before the meeting actually began when the two remaining Sober Living Home appeals were snatched from the agenda, by the applicant minutes before the meeting began. Seems he figured out that he needed legal representation at the meeting, even though he had been notified of the schedule on October 6th. Chairman Rob Dickson announced the request for extension and asked the applicant, Richard Perlin, to explain the reasons. The commission agreed to continue the hearing to a date certain - November 14th - and Perlin jumped up AFTER the vote was taken to opine that his attorney might not be available on that date. 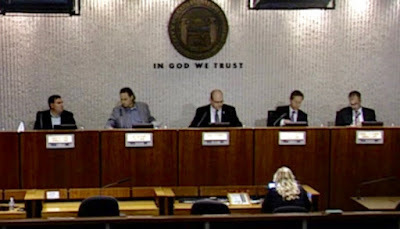 Commissioner Stephan Andranian expressed what appeared to be the opinion of the other commissioners when he said the applicant had plenty of time to acquire legal representation and he was not willing to consider re-voting to extend this process further. The November 14th date stood. And, the meeting took an even weirder turn when several members of the public showed up hoping to address the proposed development at 440 Fair Drive even though that item was NEVER on the published agenda! Seems the plan was to include it when the deadline for notification of neighbors approached, so notices were sent out, but the issue never made onto the agenda. 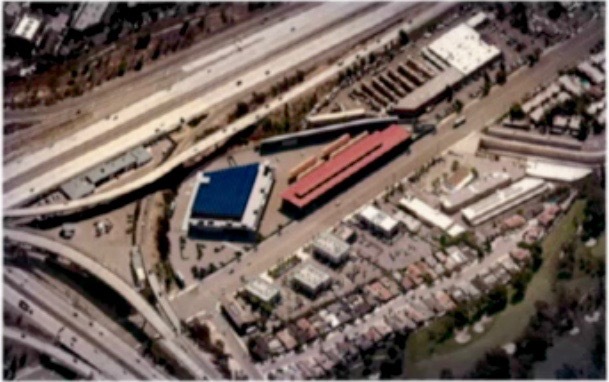 This resulted in several members of the public even angrier than they already were about this project. That left only one item on the agenda - Public Hearing #1, the request from Ganahl Lumber for a retroactive extension on the plan to move their business next door to a site next door. That one was dealt with quickly as consultant Peter Naghavi explained the process and the delays with several layers of bureaucracy. He said they will be ready to go before the end of the year. The commission passed the extension, 5-0. Earlier, during Public Comments, a half-dozen members of the public stepped up to the podium. 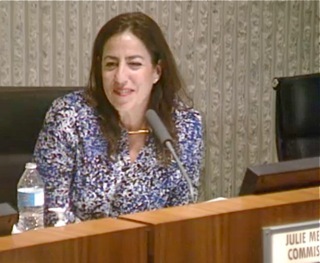 Beth Refakes told the commission that the recent candy drive for the children of the 1/5 Marines was very successful and thanked the public for the support. Steven Chan addressed the commission on the issue of the noise coming from the recently-opened night club, Holiday, near his home. 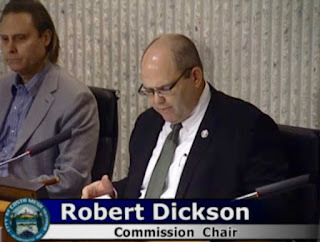 He called for the resignation of Chairman Rob Dickson for what he perceived as his unwillingness to follow state law when approving the project. 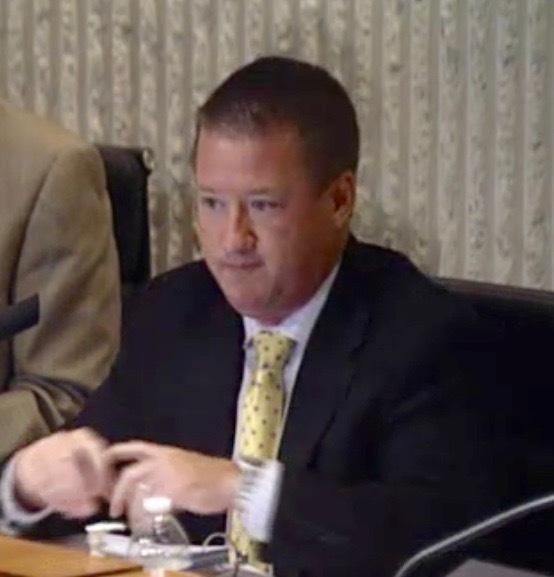 Then up stepped defrocked Planning Commission Jim Fitzpatrick, to thank the commission for all their hard work. He told them he took time out of his busy day (twice) to express his gratitude for their efforts. He also expressed disappointment in the residents who dared to criticize the commissions actions, which he described as having lack of emotional control. Funny, he should re-read some of his recent Facebook posts if he's looking for lack of emotional control. Fitzpatrick is one pathetic individual - a chronic underachiever. 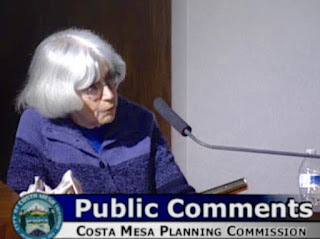 Tamar Goldmann told the commission she and her neighbors were very disappointed and angry about the way the 440 Fair Drive project is being handled, particularly in the confusion about the noticing. 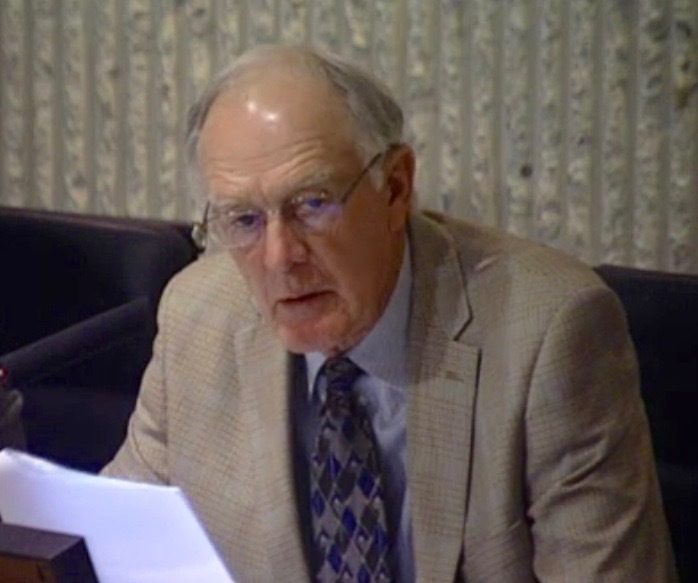 Richard Russell, a supporter of the current council majority, praised the commission and told them to stick to their guns in the sober living appeals. 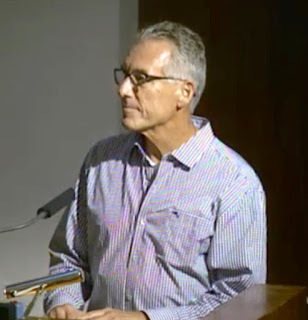 An unidentified person also addressed the sober living issue, observing that there seems to be a concerted effort to make life difficult for the small practitioners - like the ones originally scheduled for this meeting. She referred to what appeared to be preferential treatment given to a local realtor and campaign contributor in a similar situation not long ago. During Commissioner Comments Andranian inquired about the noticing procedures with 440 Fair Drive. Tim Sesler, who apparently removed the marbles from his mouth for this meeting, whined about the criticism leveled at the commission by speakers. He said it was unethical and immoral. He said it showed a lack of stability and professionalism. Yes, sir... little Timmy, making friends whenever he opens his mouth. Colin McCarthy also addressed the noticing issue. He said, "We've come a long way." Maybe, but there's clearly much room for improvement. 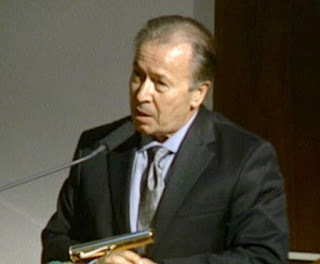 He then praised Sesler for his recent commentary in the Daily Pilot on the pension issue. Of course, Sesler was wrong in so many ways that it's almost not worth the time to comment. Dickson addressed Chan's concerns and said he's not going to resign. He also addressed the overwhelming workload in the Planning Department and thanked the staff for their efforts. 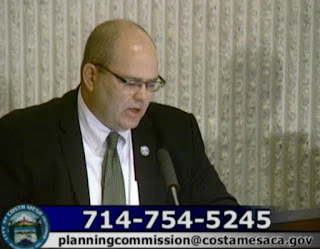 He encouraged folks to call the Planning Department front desk at the number shown on this image. Interim Development Services Director Jay Trevino addressed the noticing issue, indicating that the staff is working hard on improving the situation. 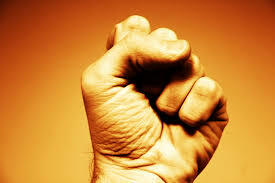 The meeting lasted exactly 54 minutes, finishing before 7:00 p.m. Easy to do when 75% of your agenda gets tossed out!